Travel theme: Green | Where's my backpack? Well, spring is breaking out all over the Emerald City of Seattle and for some reason I am feeling a green theme might be in order this week (I wonder why?) Here are a few green sights I’ve spotted on my travels. 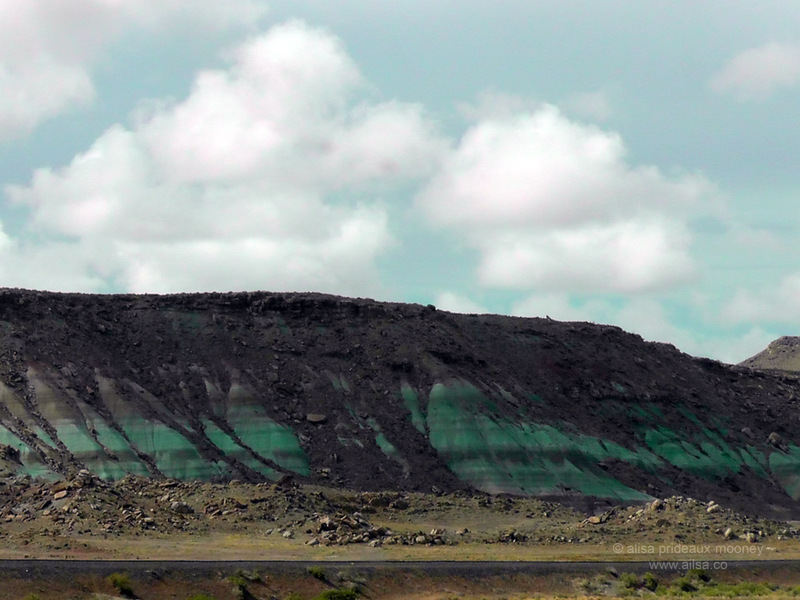 Along the road leading from Arches National Park to Escalante, I spotted a dazzling burst of green streaking through hulking black rock. 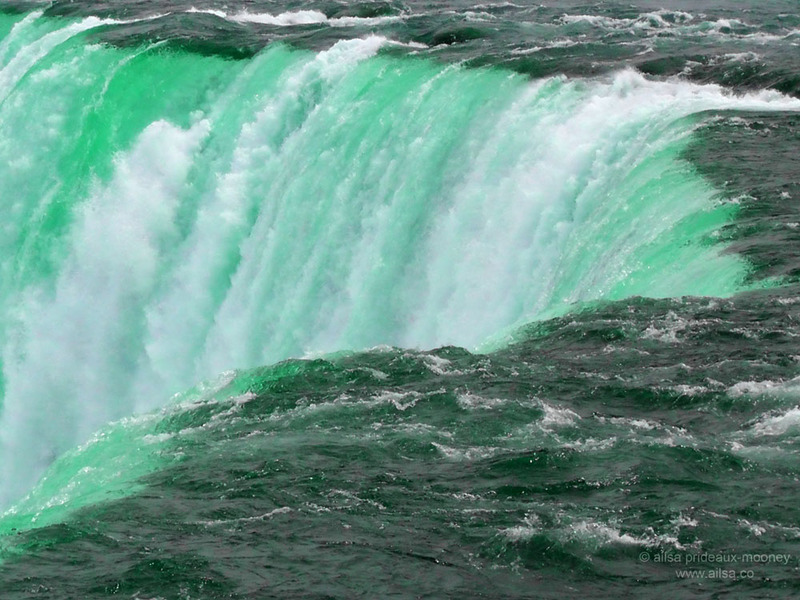 I’m still surprised at the colour of the water that flowed over Niagara Falls; I never expected it to be so vivid. One of my all-time favourite statues (and all-time favourite poets) is positively a study in green. 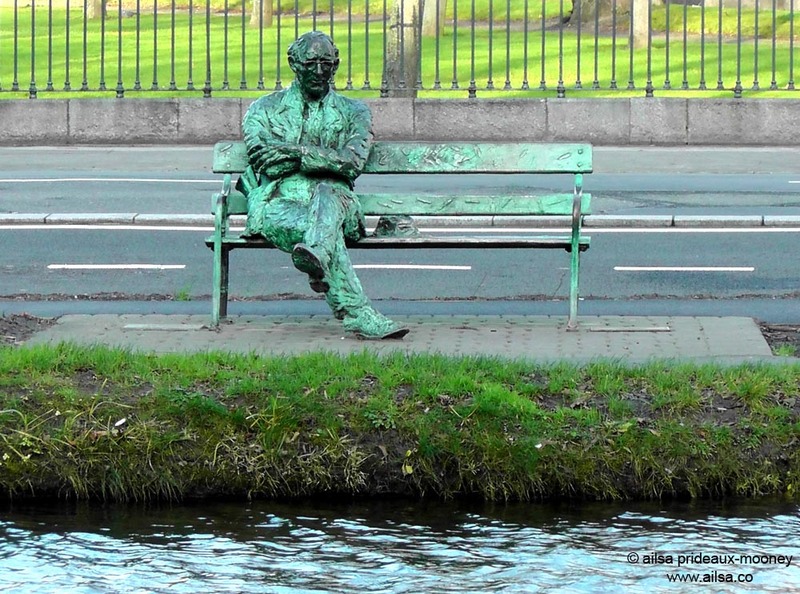 Here is the wonderful bronze of Patrick Kavanagh along the banks of Dublin’s Grand Canal. I would be remiss if I didn’t mention the glassy, sometimes-green, sometimes-blue water of Lake Atitlan that took my breath away during my all-too-brief visit and left me longing to return. Last but by no means least, I ventured out to the Hamptons over July 4th weekend a couple of years ago and had a perfectly lovely time exploring the quaint and oh-so-trendy village of East Hampton. Only one thing troubled me. Right in the middle of the village lies the Town Pond (why they don’t call it the Village Pond is a mystery to me). It is home to all kinds of birds and they were bobbing around merrily, but I couldn’t tear my gaze away from the water which glowed a bizarrely luminous green. I couldn’t figure out why the good villagers of East Hampton would dye their water such a ghastly green; it seemed so out of keeping with the aesthetics of the village and terribly unfair to the wildlife. It quite honestly almost put me off the Hamptons altogether, until I discovered, months later, that it had only turned green sometime during the night before I arrived and returned to normal the day after I left. Investigations ruled out algae and anti-freeze and concluded that it was a prank by person or persons unknown. I seem to have an odd knack of arriving in places shortly after something unusual has gone down. I swear I had nothing to do with it! Just one more thing… Happy St. Patrick’s Day! This entry was posted in Photography, Travel, Weekly Travel Themes and tagged humor, photography, photos, pictures, travel, writing. Bookmark the permalink. Priceless, AJ – you have me in tears of laughter! Everyone – go and have a look at what AJ did to my favourite statue of Patrick Kavanagh for Paddy’s Day. Patrick would not be amused! Hi Ailsa – Go Green – excellent – met some lovely people from Dublin yesterday so will definitely give the lovely statue a salute. Good stuff, Chas. What’s Paddy’s Day like all the way over your side of the planet? You showed up in my reader 20 minutes ago, so I guess they have ironed out the problem? I recall you showing up for me last time too. Nice photos! Happy St Pat.’s to you too Ailsa. We celebrate Tiggi’s birthday on this day every year. We know she was born in March, but not when and since she came from Ireland, it seemed appropriate. Of course our surname is Irish too but the origin of why that ended up in North Wales is lost in the mists of time! Cheers! Happy St Patrick’s day to you too!! 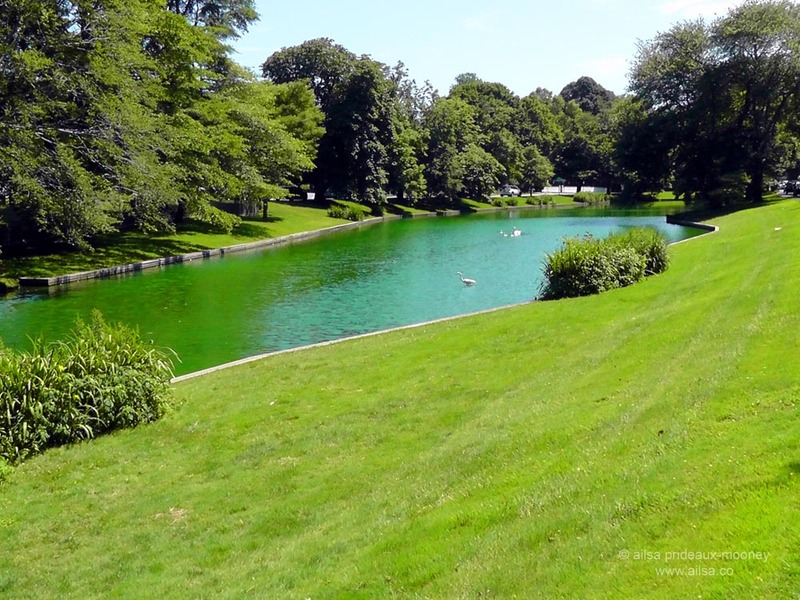 I love emerald green but it’s a funny story about the hamptons! Yikes, who would think of playing a prank like that? I don’t know, but the local papers were saying if the culprit was discovered they would have to pay a hefty fine. Thankfully the dye didn’t have any adverse effects on the birds. What a bunch of idiots for sure. Love the East Hampton tale. Very funny. I ran the Hamptons Marathon there in September and did a blog post on it. Great place. Love your green theme. It’s a lovely spot, MaryLou, I’ve warmed to it a lot more since discovering the green pond was unintentional. The green of the water of some of those pictures is surprising. My entry was just kind of an interesting fluke of color while resting in Isan. Hi Ailsa, I’m getting your posts regularly. please don’t go to email! I am having continuing problems with Cee Neuer’s sites since she did that!! Much less friendly! Oh I’m sorry to hear that, Tina, what problems are you finding with Cee’s site? I feel your frustration, Tina, when you signed up, did Cee’s confirmation email go to you inbox for you to click a link or did it end up in your spam folder? That’s one of the reasons I’m hoping my WP buddies sign up before the move to make for a smoother transition. That’s not good at all, Tina. I followed Cee through RSS so haven’t seen the email end of things, but I’m going to sign up for emails now and see if I can figure out what’s going wrong. Good to know these things ahead of time! Auto-correct. I meant good question! All of those greens are really making me impatient for Spring!! Beautiful! Aha, I knew you’d be up for the challenge, Patricia 🙂 That dollar tree is great, and those ‘wawa’ melons look oh so good! Unbelievable how green can give an injection of energy, don’t you think so too Ailsa? The green in your first few photos is awesome, and it’s a similar shade in totally different settings. I suppose they’re a bit like humans, some grand and posing for the camera, others so busy making a big mess that they’ve no time to do their hair. I have been to Niagara Falls a few times and never seen that shimmer of green – must have been the time of year you visited – or the way the light shone on the falls. Absolutely beautiful. That explains it – never been there at that time of year. Winter and the end of Summer, yes. The colour of the water was different both times. Thanks Ailsa, we do love it here, not only is it beautiful, but relaxing as well. After being gone for a month, it is sure nice to be home. I will never forget, diving the wreck of the San Diego off of Long island, the water was a perfectly clear emerald green. It was like Caribbean blue only green. Then when you got 10 feet from the bottom, it was like an airplane flying into clouds. Zero visibility. Wow, sounds like an amazing experience, Mark, although I have to admit losing visibility in the depths of the ocean sounds a little unnerving! beautiful green .. shots – one of my favorite colors … Patrick Kavanagh photo is my favorite … but it’s Paddy’s day soon too. Have a good one. I stayed once at the Hilton hotel … just by the canal and then I saw the statue – Dublin is a very specieal place in over all … but Belfast is a little bit dear to me. Not so many people and not so dirty. Pingback: Travel Theme: Green | Are your twenties a joke…? Love it! Crazy stuff about the (ugly) green water you happened to see in the Hamptons! 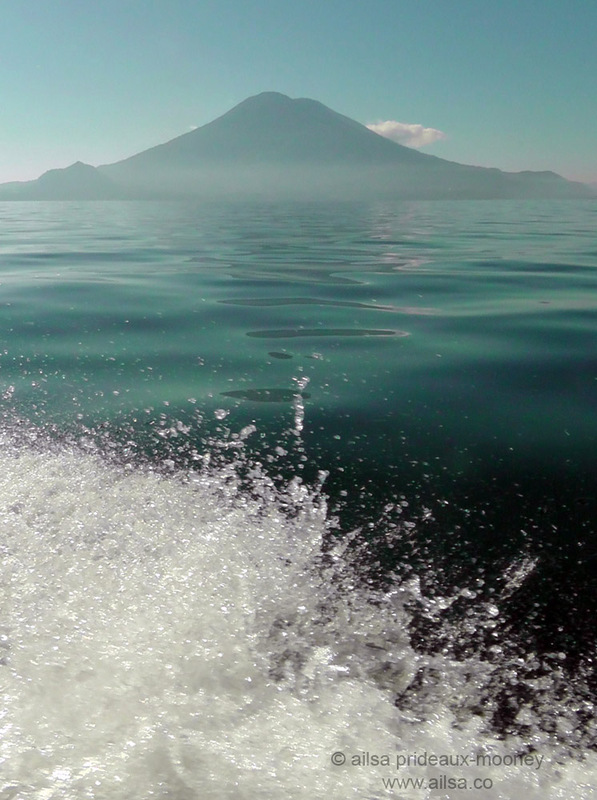 And I have never heard of Lake Atitlan until now – GORGEOUS!! I love green! The bronze is my favorite! Thanks for the WP update. These greens are gorgeous. Love the falls. Be back soon I hope. Happy St. Patrick’s Day. Beautiful photos, Ailsa – as well as the theme. Happy St Patrick’s day! Great green pics! Love the first three. 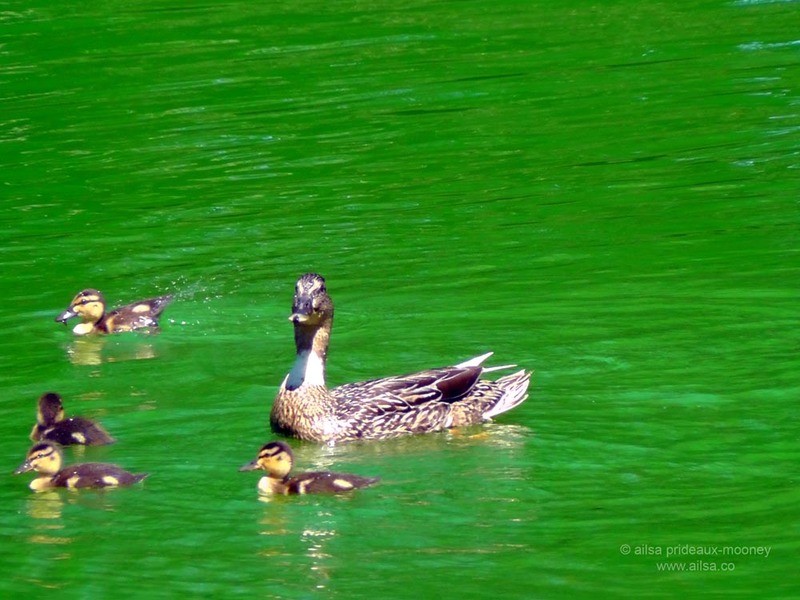 Dublin went green yesterday Ailsa so….have a great St Patrick’s week! Hi Ailsa, how are you ? Absolutely beautiful photos! And I love this idea. This was my first time participating and it was fun!